HRM Global is leading provider of professional management training and coaching. 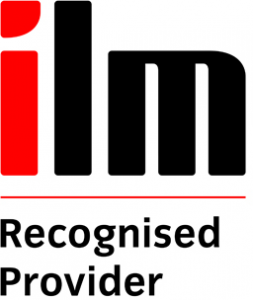 Our organisation is a recognised training centre, and many of our training courses and programmes are accredited by leading independent authorisation bodies including ILM and CPD. Our trainers are members of appropriate professional bodies to ensures they meet the standards required to become training providers for HRM Global. The Institute of Leadership & Management (ILM) is the UK’s largest management body, combining industry-leading qualifications and specialist member services. It’s primary purpose is to improve the standards of leadership and management in order to drive social and economic prosperity. The CPD Standards Office provides independent accreditation of training programmes in order to improve the quality of continuing professional development (CPD) to ensure positive and successful CPD experiences. The CPD Standards Office helps training providers ensure that they are delivering consistently high quality training that is inclusive and collaborative. Founded in 1948, the Society for Human Resource Management (SHRM) is the world’s largest HR membership organization devoted to human resource management. The Society is the leading provider of resources to serve the needs of HR professionals and advance the professional practice of human resource management. The Strategic Planning Society (SPS) is an international network of strategists, dedicated to the development of strategic thinking, strategic management and strategic leadership. The Society’s mission is to improve the practice, development and recognition of strategic management. The International Coach Federation (ICF) seeks to advance the art, science and practice of professional coaching. ICF preserves the integrity of coaching through internationally accepted professional standards. The Chartered Institute of Marketing (CIM) is a a UK based professional body offering training and qualification in marketing and related commercial subjects. CIM exists to develop both the marketing and sales professions, maintain professional standards and improve the skills of marketing and sales practitioners. The Institute for Independent Business (IIB) is a not-for-profit research, training and accreditation body which ensures that all it’s members are able to provide consultancy services and training programmes which is ‘fit for purpose’ and meet clients’ needs. The Institute of Enterprise and Entrepreneurs (IOEE) is for anyone who is thinking about starting or already running their own business, those who support them and those employed in innovative and entrepreneurial businesses. 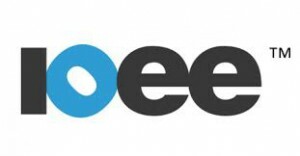 IOEE offers enterprise related training and qualifications, enterprise events and enterprise resources working with a range of private and public sector partners and delivering through a network of Centres of Enterprise Excellence and Enterprise Academies. Small Firms Enterprise Development Initiative (SFEDI) is a Government recognised UK Standards setting body for business support and business EEnterprise. Run by entrepreneurs for entrepreneurs, SFEDI researches leading practice, sets standards, principles and guidelines.